most unmercifully for some trifling fault as an example to the others and put him three days in irons. As an extra passenger my situation was peculiarly disagreeable. It was necessary that no suspicion should be excited amongst either passengers or visitors least information would be lodged and the ship detained. For this reason I was seldom seen on deck or in the steerage unless when I wished to converse with my worthy friend Mr. Reed. I was fortunate in having this young man for a companion aboard. From my first acquaintance with him I promised myself much satisfaction in his company and was never deceived. I was now in the same place where I parted the Perseverance and every unfortunate circumstance connected with that transaction returned to my mind with double force when I compared my present situation in the Phoenix with what it was in the other vessel. In the Perseverance I had procured everything calculated to make a sea voyage comfortable. But in this – without money and without clothes — I was a complete dependent on the Capt.’s liberality even for my boarding and passage. For the last time I took an affectionate farewell of my dear brother Andrew*, who came down to see me. At this time my state of body and mind were nearly alike worn down by fatigue. My health had suffered materially and the sorrow of parting my last and best friend added to other troubles of which I had enough in all conscience for any person. Contrary winds and Custom House delays detained us at Moville for several days during which time the passengers made the necessary preparations for the voyage. Trunks and boxes were fastened. Messes were formed and regulations were made for keeping the ship clean. A Methodist laid hold of the occasion to impress on our minds the awful uncertainty attending our situation. For some time his prayer meetings were attended to but at length, having given offense to a certain sect, he met with considerable opposition. Like all other zealots he continued his labors while persecution appeared. But either from want of abilities in the preacher, want of variety in the subject matter, or want of amusement in the theme – the preacher in a few days “ceased his Labours”. On the evening of the 23rd the Capt. joined us and gave orders for sailing early next morning. * Andrew Campbell remained in Ireland, and he had ten children who continued the family line. Hugh did not have children and Robert did not have grandchildren, so Andrew’s descendants were the Campbells who received an inheritance from Robert’s estate when his son Hazlett died in 1938. We’ve posted letters about the hell-raiser in the Campbell family, Robert and Hugh Campbell’s niece Bessie Campbell. But even with all the trouble that Bessie caused the family, her actions were very little when compared to her brothers Hugh Kyle Campbell and Robert Boyle Campbell. Ironically named after their St. Louis uncles, these two were the true source of grief for Andrew and Elizabeth Campbell. According to The Campbell Quest, written by the pair’s great-great-nephew, “Hugh Kyle followed in his father’s footsteps and became an alcoholic, while Robert Boyle became a bully . . .” . These two caused trouble in Ireland, likely burning their grandfather’s will and harassing their Aunt Ann so that Hugh Kyle Campbell could lay claim to their Uncle Hugh Campbell’s rightful estate, Aughalane. 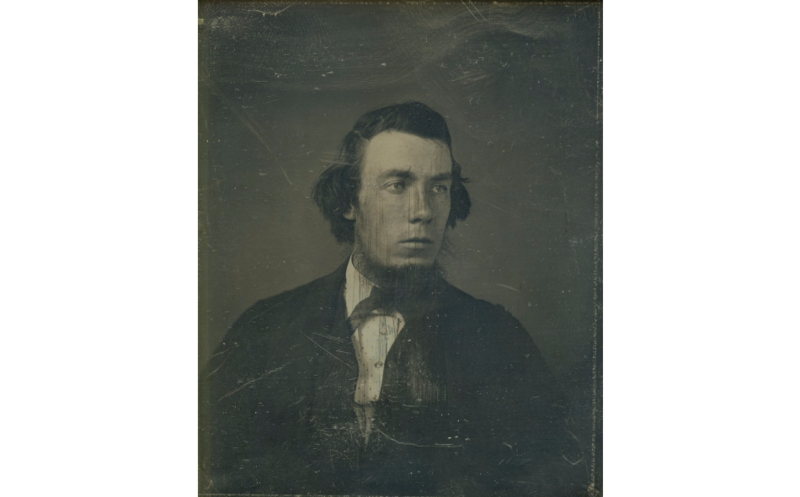 Hugh Kyle Campbell finally married, but never stopped drinking and finally died of “intemperance, one year. Delirium tremens, one week” in 1877, a year after writing this letter. Robert Boyle Campbell came to live with his Uncle Robert and Aunt Virginia for a while, but eventually left and moved west, hoping to strike it rich. He also caused trouble for the family in the American Civil War. Today’s letter is from Hugh Kyle Campbell to his brother-in-law (and Patrick Campbell MacCulloch’s great-grandfather) Hugh MacCulloch about his Aunt Ann’s death. He makes is abundantly clear that he is not happy that Aunt Ann left so little to him in her will, obviously a very wise choice on Ann Campbell’s part when it came to this particular relative. 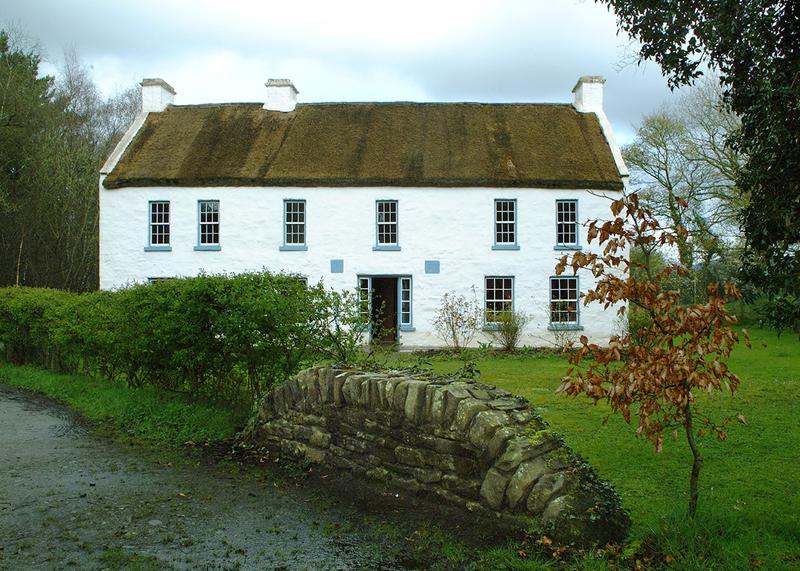 The letter was transcribed by Frank Collins of the Ulster American Folk Park in Northern Ireland, which now houses Robert’s birthplace, Aughalane house. It was part of a collection that Collins and the Folk Park donated to Campbell House Museum last summer upon the European release of the book The Campbell Quest. We hope you enjoy the account from another ‘black sheep’ of the Campbell family! Enclosed I send you what you drew up with all the names properly signed there was no a dissenting voice as they all gladly signed it. As to those in America as to them signatories it is not at all necessary in a legal point of view as to have signed it, at least all but…. & I presume she’ll not object. I congratulate you on the straightforward manner in which all has been conducted as far as I know,by both you and R Dunn. This I can say for myself I am the greatest loser over my Aunt as I can …. And have been the proprietor of Aughalane only for her & her continually writing to my uncle Hugh. I never knew this until I was examined in Dublin and had I wished to be contention at that time I’d at all event prevented the sale of it for years but I never opposed it. She always was my greatest enemy- all I ever got from her was those £27 and a bedstead? and curtains except I think £2 and I counted one of those due me for tidy? cows she allowed me keep the other. I need not enlarge on this but I trust she may be happy as God only can discern our intermit thoughts and private actions and many a one to the human eye here is counted God fearing & lending poor moral life by appearances, but when laid on the bed of sickness and death then deceptive and former hypocrisy Tell then in their hard struggles not wishing to leave this world yet a letter? Wished and all as they counted it. I am informed my Aunt did touse? the expression very hard. One thing I do know Margaret had the greatest trouble with my Aunt. & most certainly £100 would not have repaid the trouble & sleepless nights she suffered over her sickness. With kindest regards to you and Mgt.